Pursuant to the Proclamation No. 760 of former President, Benigno Aquino III last 5 May 2014, the Philippines celebrates Zero Waste Month every January. This is to support to the Ecological Solid Waste Management Act of 2000 which aims to promote environmental awareness among citizenry and institutionalizes public participation in solid waste management programs. 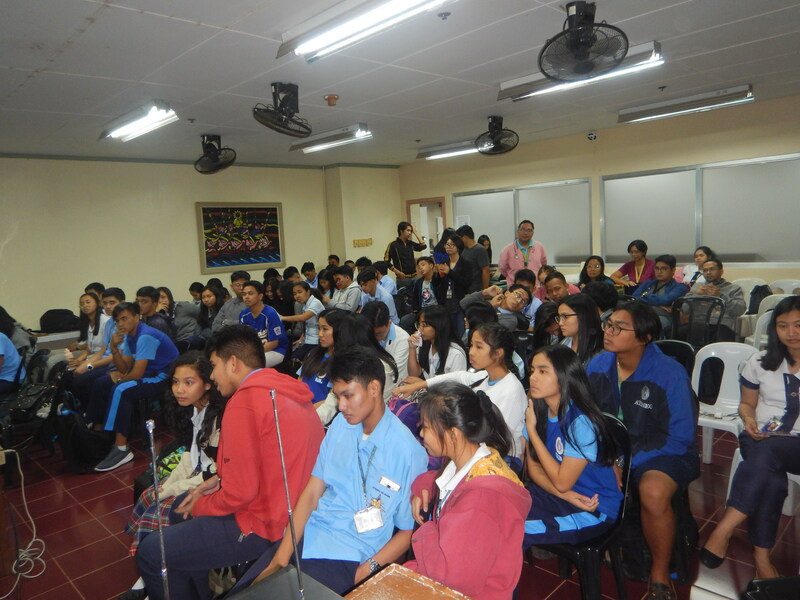 On 24 January 2019, the Institute for Environmental Conservation and Research (INECAR) of the Ateneo de Naga University initiated two activities, Environmental Film Showing and What are you wasting for? in celebration of Zero Waste Month this January. These activities are part of the Information Education Communication (IEC) Program of the said office for the environment. 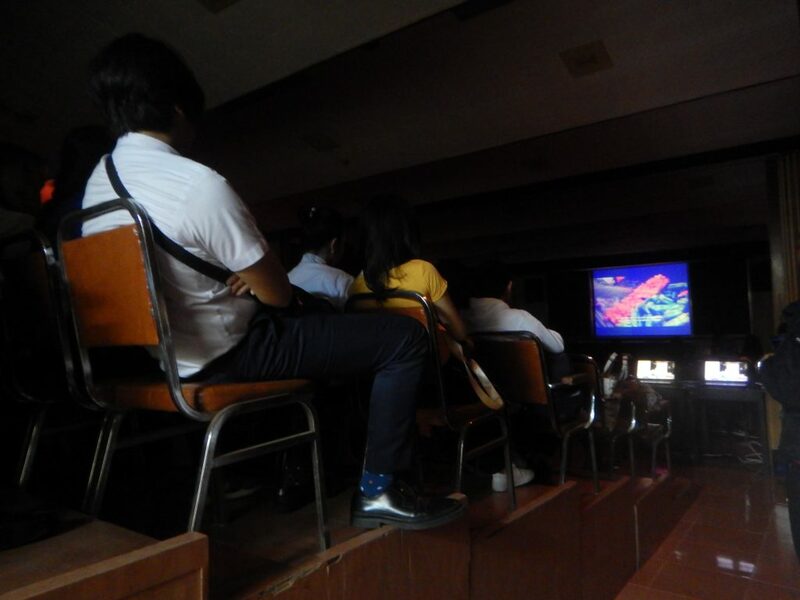 An Environmental Film Showing activity was held in the morning at the Instructional Media Center (IMC), Phelan Hall where two films, A Plastic Ocean and The Lorax were shown. 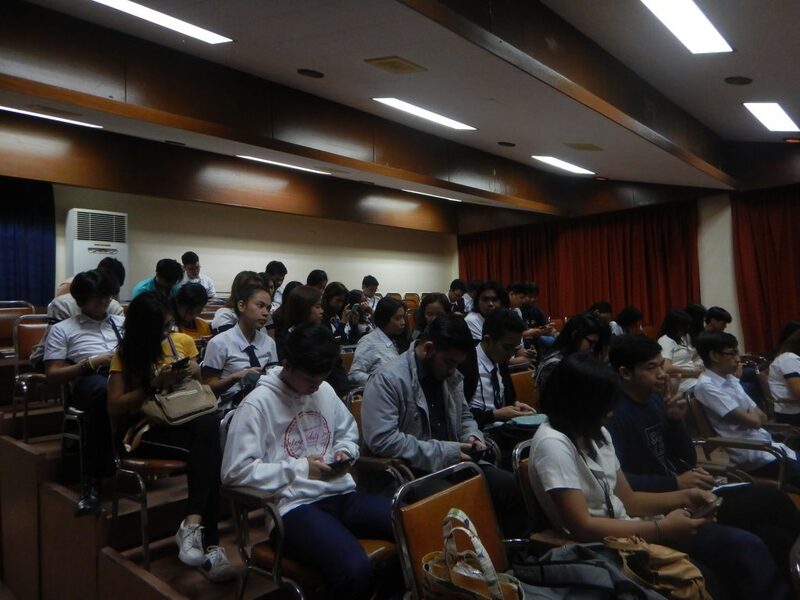 It was attended by 131 college students, 3 college faculty members, and 5 staffs with a total of 139 participants. After watching the movies, viewers were asked regarding their first priority among the 3Rs (Reduce, Reuse, and Recycle) through an electronic feedback form and it showed that 61 % prioritize waste reduction over recycling and reusing. They were also asked as to their commitment to stop using from among these items: plastic straws, single-use plastic bags, sachets, and styrofoam and plastic utensils. 43% have made their commitment to stop using single-use plastic bags. Majority of the viewers or 81% have also suggested to have the same kind of activity (film showing) in the future. Forum: What are you wasting for? 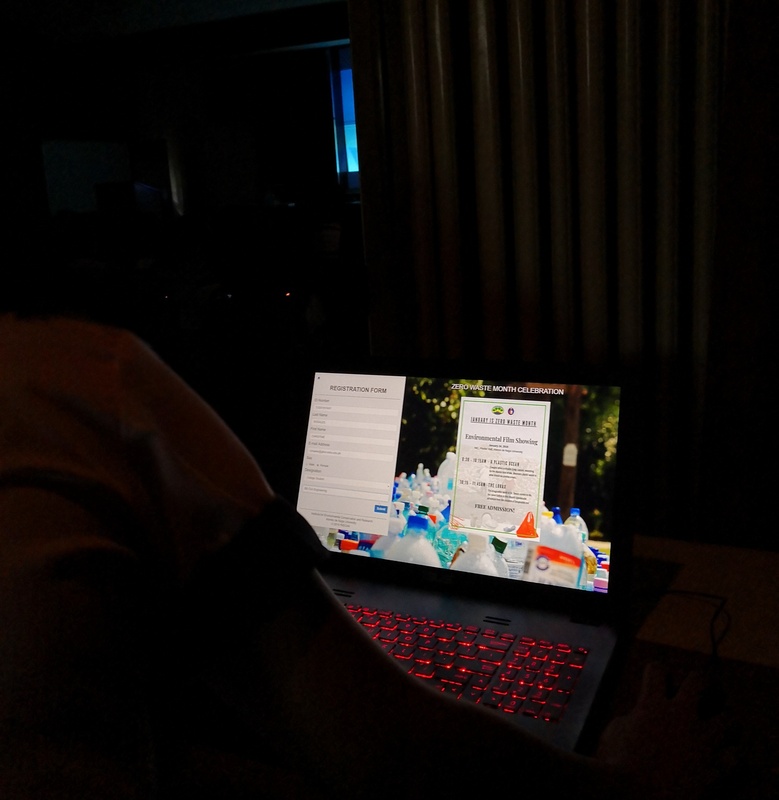 A forum entitled What are you wasting for? 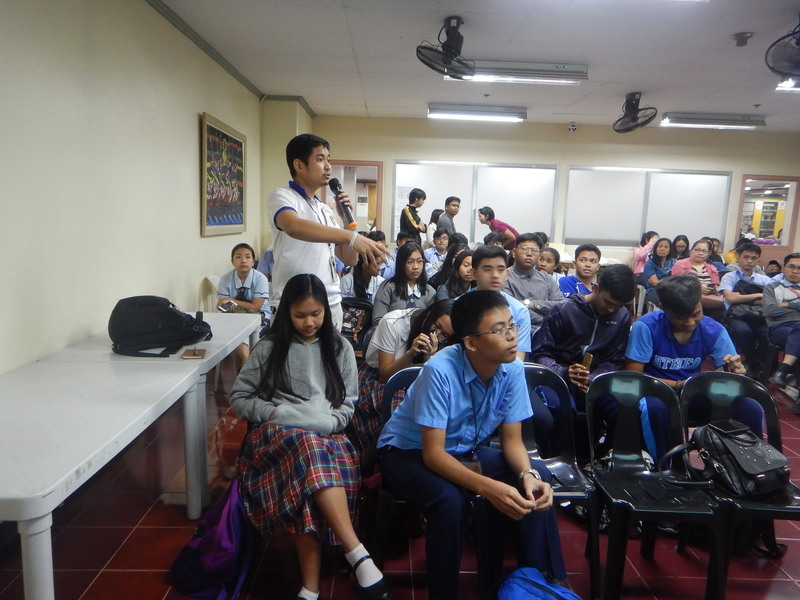 was also held in the afternoon at the Multipurpose Room, 3rd Floor, James O’Brien Library. 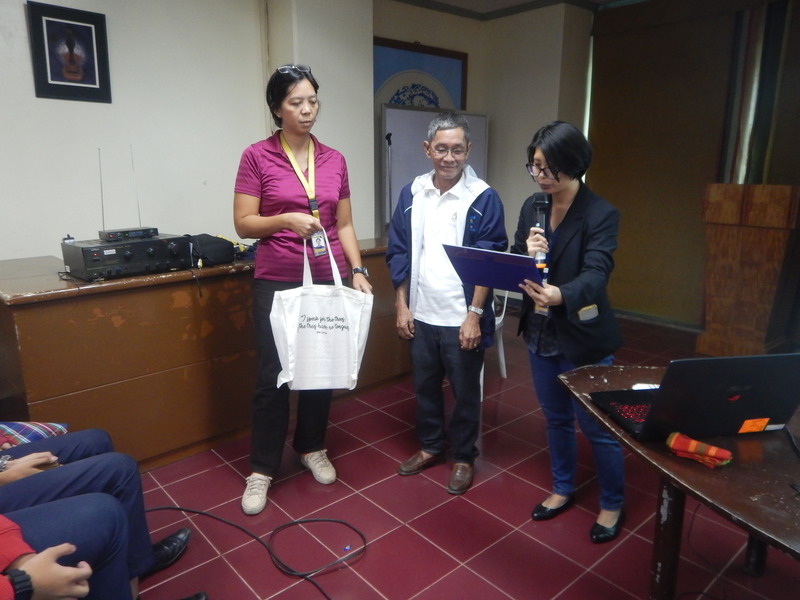 Mr. Melchor Llantero, Senior Environment Management Specialist of the Solid Waste Management Office of the City Government of Naga, served as the Resource Speaker. He presented the current status of the solid waste in the city as well as the initiatives being taken by the government about it. 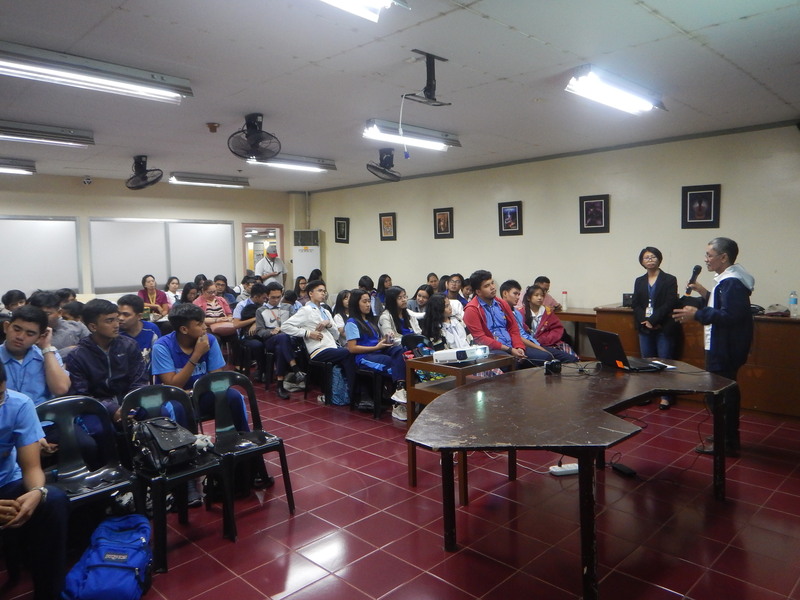 It was attended by 14 college students, 3 faculty members, 16 junior high school students, 29 senior high school students, and 13 staffs with a total of 75 participants. At the end of the forum, participants were also asked regarding their suggestions to the City Government of Naga by way of an electronic feedback form for it to effectively implement the Solid Waste management programs. 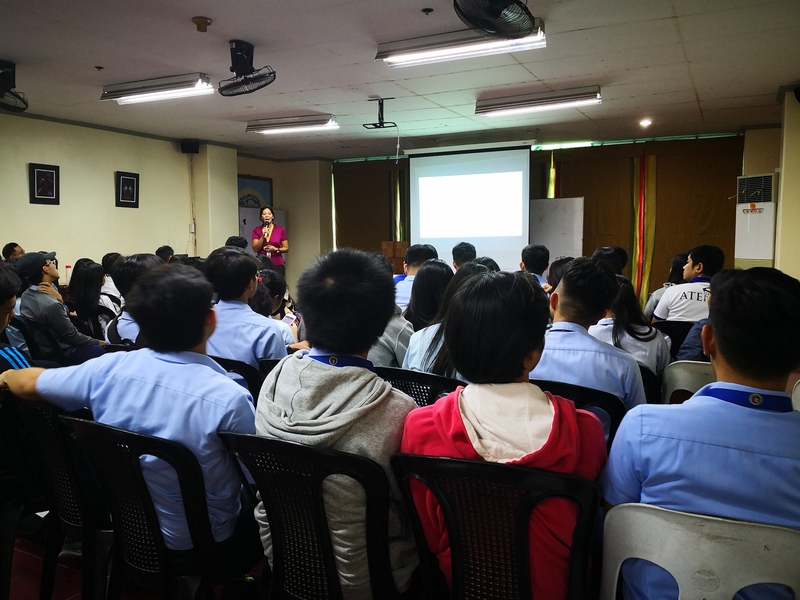 Ms. Joanaviva C. Plopenio, Officer-In-Charge of INECAR, also presented data on the solid waste generation in the university at Bagumbayan campus through information graphics during the said forum. The infographics dubbed as Trash Talk in ADNU is a quick look at Ateneo de Naga University’s solid waste generation for the last quarter of the year2018. According to the said infographics, there were about 5000 kilograms or 5 tons of solid waste generated from October to December 2018 with the month of November producing the most amount of waste. The data also showed the top 5 sources of solid waste in the university Bagumbayan campus from the same period. The data used in creating the said infographics were provided by the Physical Plant Administration (PPA) of the Ateneo de Naga University. During the forum, such information was emphasized as vital in arriving at better decisions and putting our high level of awareness about the environment into action, sustaining the “Blue and Gold Revolution”. 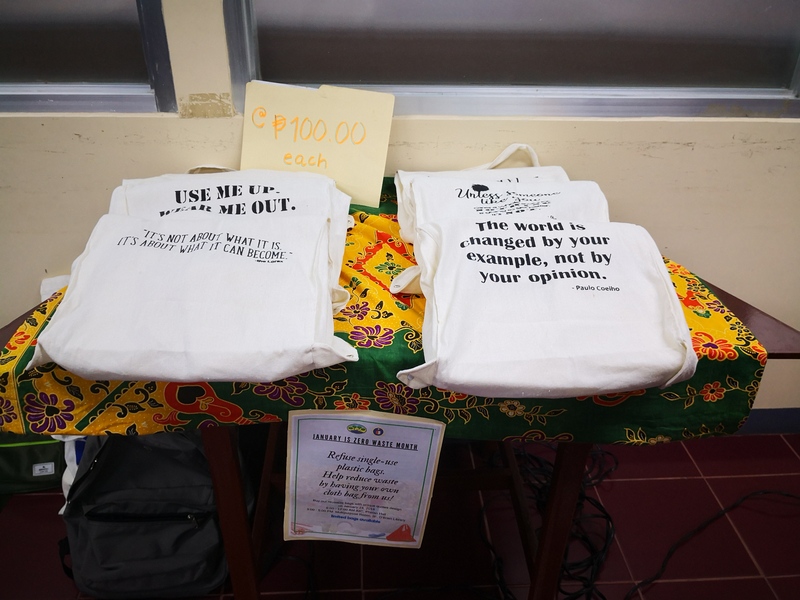 As part of the Zero Waste month celebration, cloth bags printed with different environmental quotes were also displayed for sale during the film showing and forum. 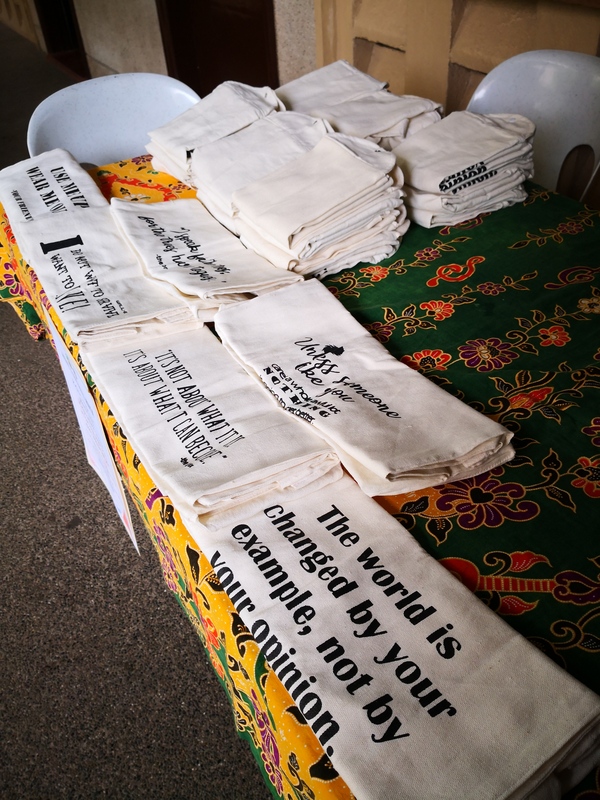 As an office advocating for the environment, INECAR seeks to inform the university community regarding the benefits of using cloth bags as alternative to sando bags or single use plastic bags. 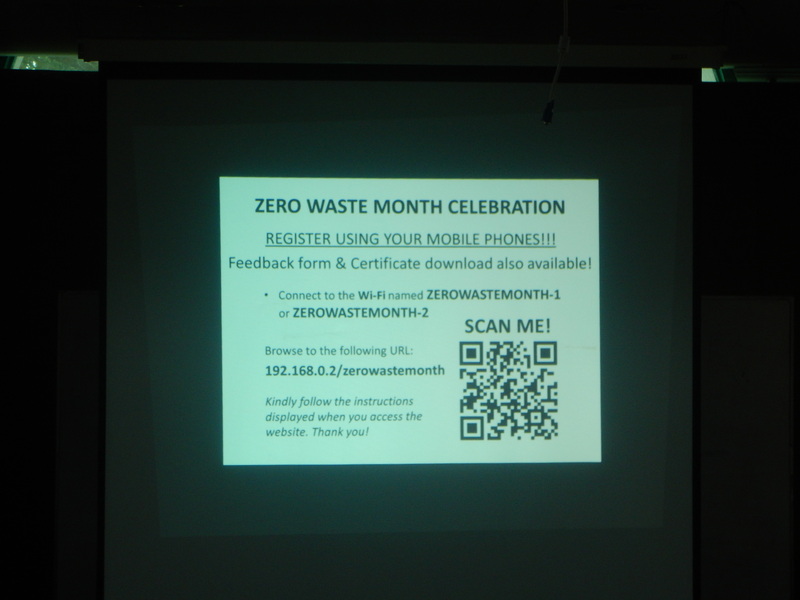 The Zero Waste Month celebration should be implemented in every aspect of any organization. Thus, INECAR advocates paperless transactions. During those two events, paperless registration as well as evaluation were conducted maximizing the capability of the smartphones of the participants. Those who do not have their mobile phones with them used laptops provided by the secretariat. The said initiative makes the reporting and consolidation of data more efficient and more convenient in a shortest period of time. Participants also received the electronic copy of their certificates right after submitting their feedback through their smart phones. The paperless registration and evaluation makes use of a computer program and database uniquely created at the Regional Environmental Geographic Information System (REGIS) Hub of INECAR.